PREMIUM CORNER LOCATION RIGHT ACROSS THE PARK. Former Model home, with 4 bedrooms and 3 full baths, plus a huge bonus room with real wood flooring (could be 5th room) or a game room. 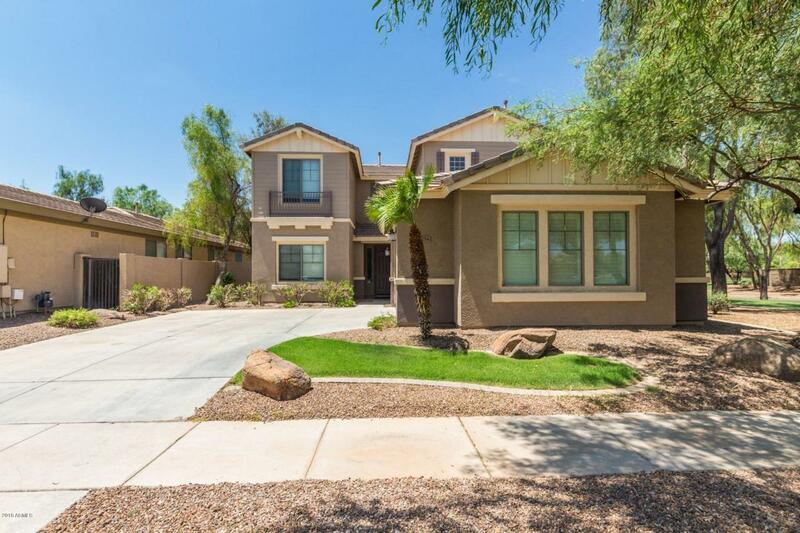 Fully Upgraded home, kitchen has 42 inch Cherry cabinets, granite counter tops, granite back splash, kitchen island, stainless steel appliances. Gorgeous tile throughout the house with brand new carpet. House is equipped with Surround system. Master bedroom has a huge walk in closet, dual sinks, separate tub and shower. Large Laundry room with cabinets and epoxy flooring in the garage with windows overlooking the park. Backyard has beautiful fireplace and flagstone sitting area with view fence over looking the grassy area in the back, no neighbors in the back. Brand new paint inside and outside of the house.